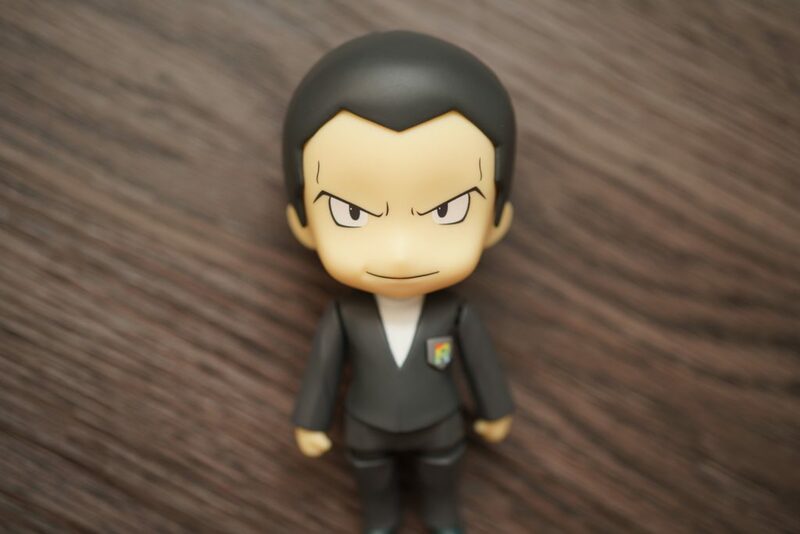 It’s been a while since I last posted about a Nendoroid figure review and if I do, it’s always about Pokémon, Today’s review will be about the main antagonist in the Pokémon game franchise, Giovanni. 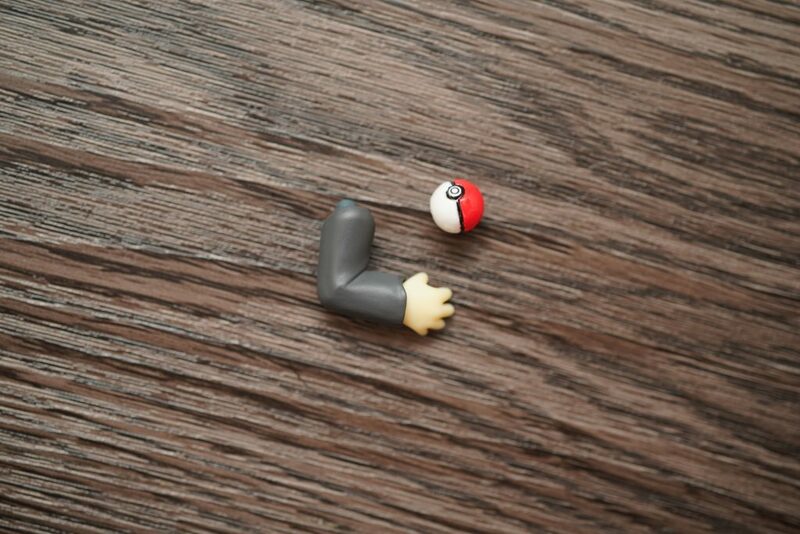 He probably is Pokémon’s most sinister character, he’s very mischievous and cunning which makes him the best boss in the game and in the Pokémon series. 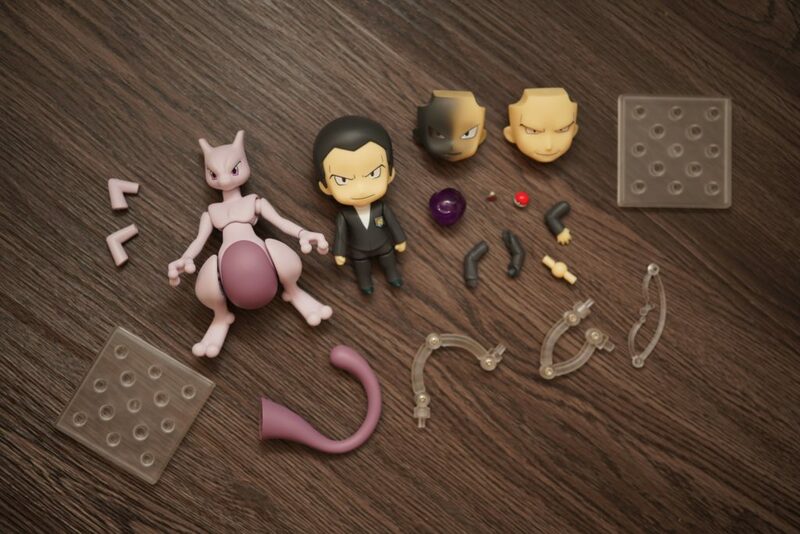 If you’ve been collecting Nendoroid figures , regardless if it’s Pokémon or not, you’ll notice a change in box size. I mentioned this before that the Good Smile Company has been cutting down the box size production since late last year. 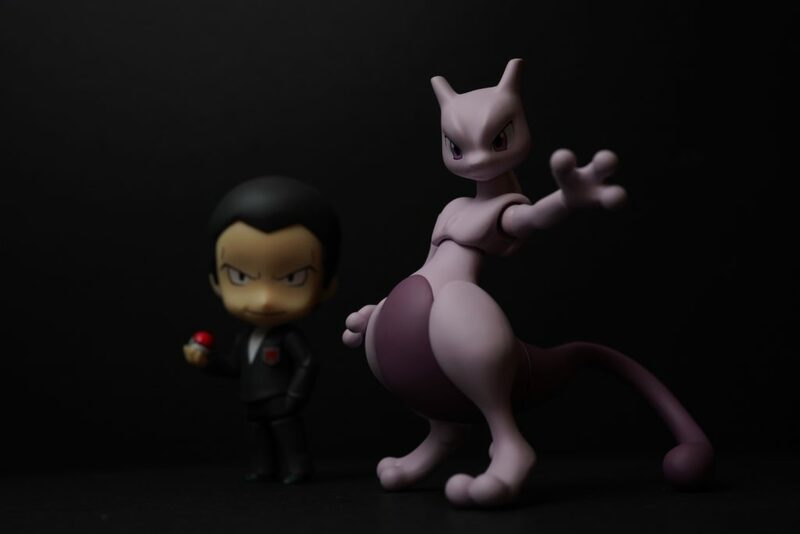 As for the Giovanni figure, given that Mewtwo is included, the box size is not really an issue. 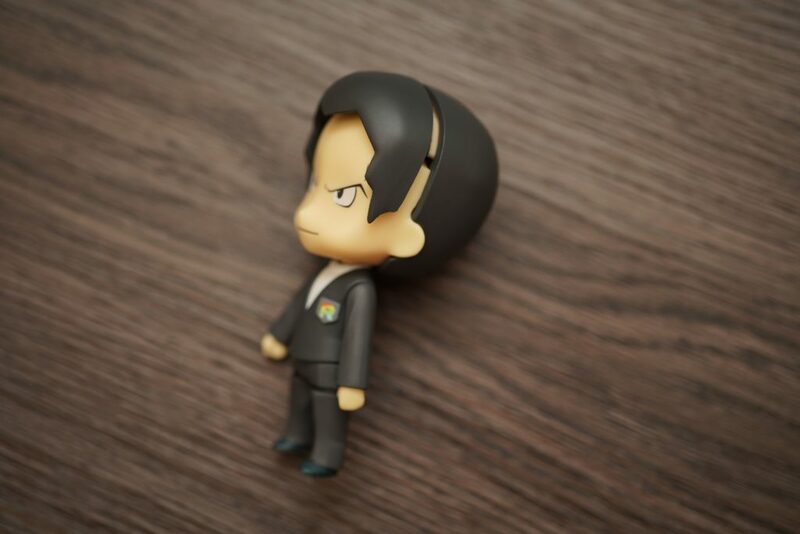 I liked how they’ve colored the box – it fits very well with his character. 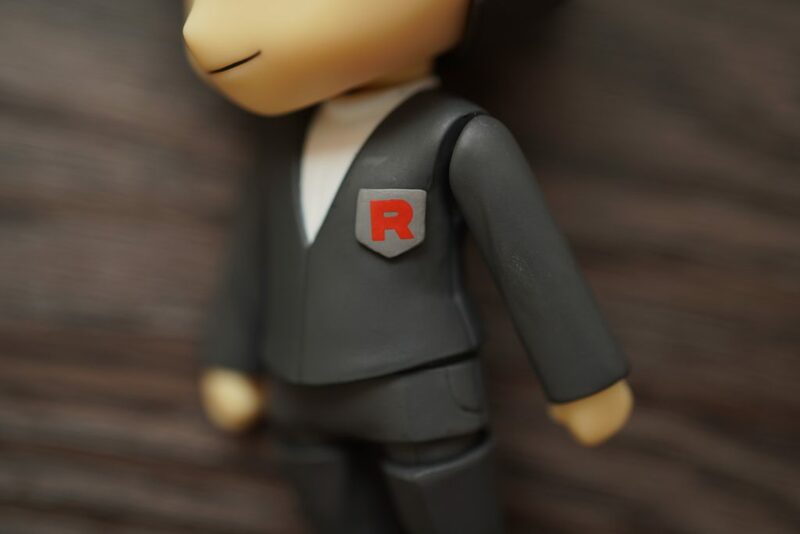 However, if you’re as OC as me, the concern would be the consistency of design for the entire Pokémon Nendoroid boxes. 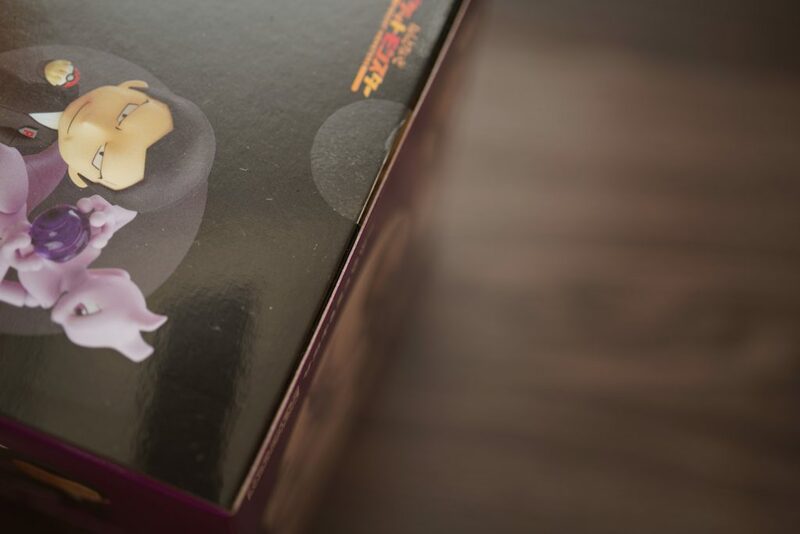 Make sure to check the seal stickers in your box – make sure to only buy authentic and genuine Nendoriod figures! 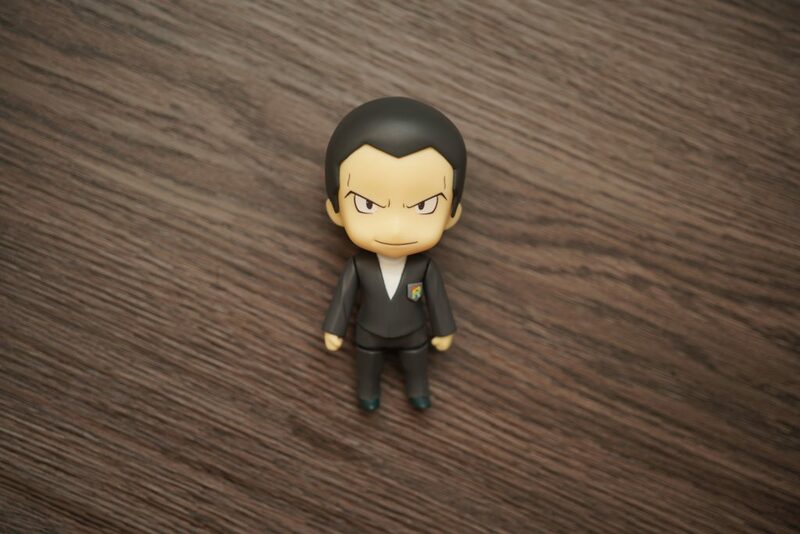 I really liked that they made a Giovanni figure, I was surprised that they made Cynthia first before him. Well, better late than never right? 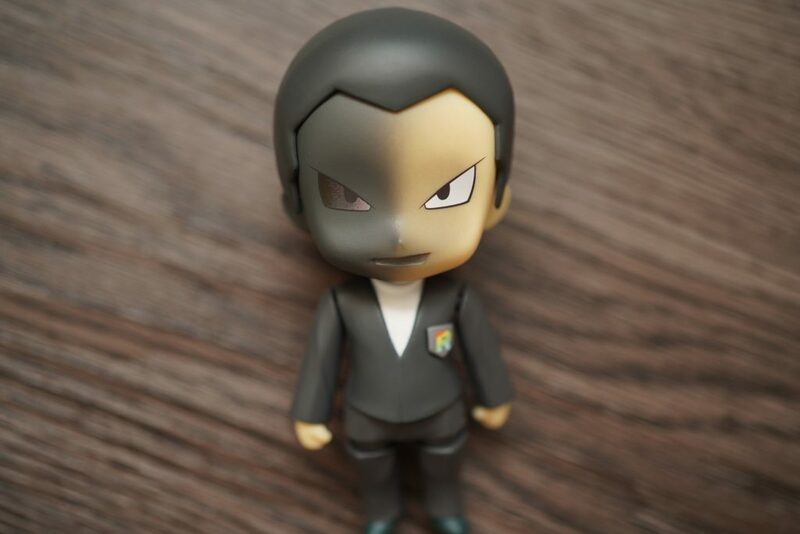 The figure looks very solid at first glance, you will have the feeling of how menacing Giovanni really is. 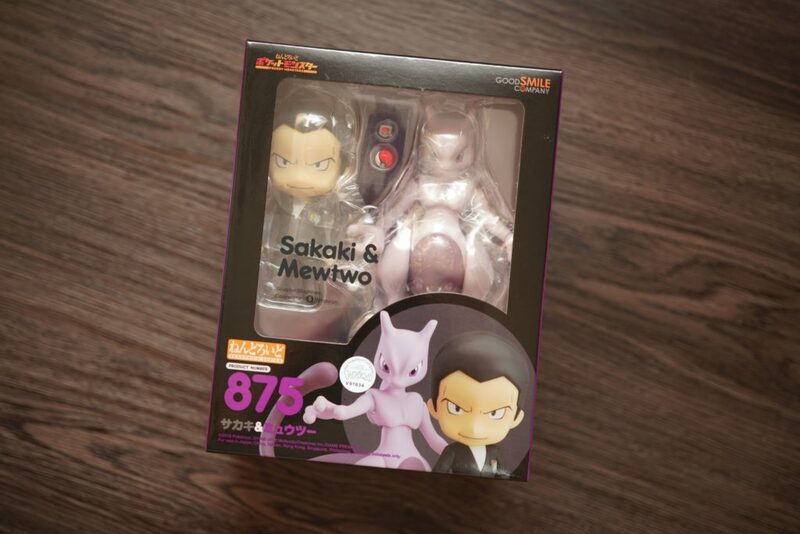 The box contains an ample set of interchangeable hands and arms for both Giovanni and Mewtwo. 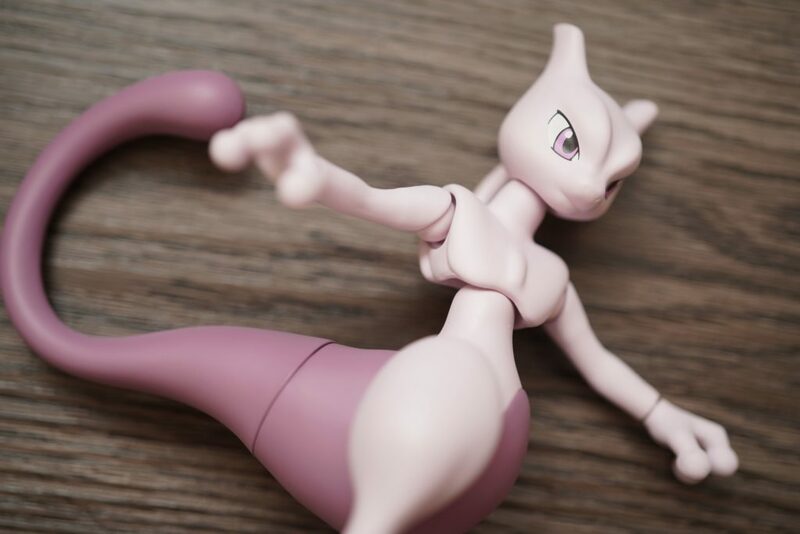 Mewtwo is included to be as part of the set’s accessories. 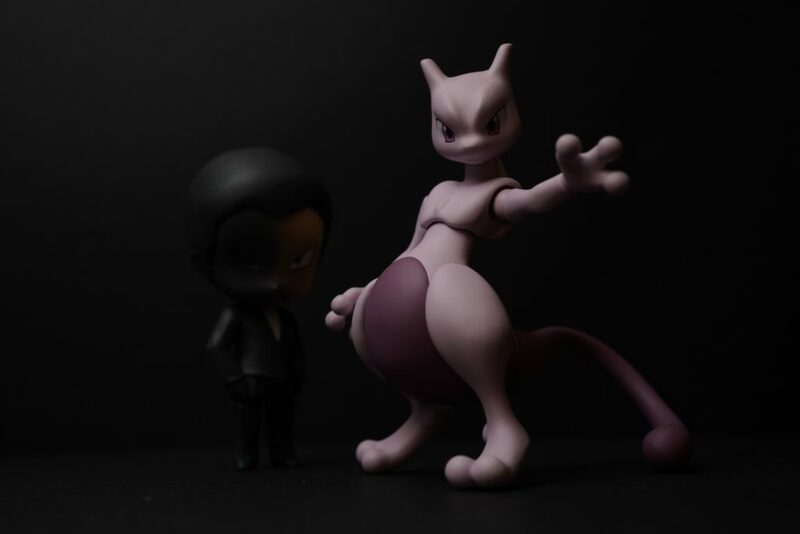 The set also includes a PokéBall, an aura effect for Mewtwo and an interchangeable patch for the Team Rocket Insignia – classic and rainbow. 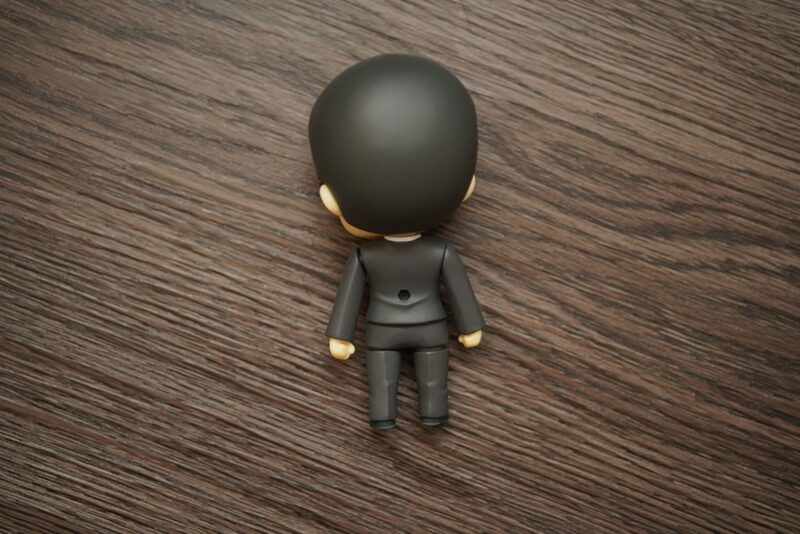 Figure stands and bases are also included as a default for all Nendoroid figures. Given that this follows a standard Nendoroid figure sculpt, there are fewer points of articulation compared to a Heroes edition Nendoroid. The legs and hands are connected via pegs with ball joints all connecting to the main body. 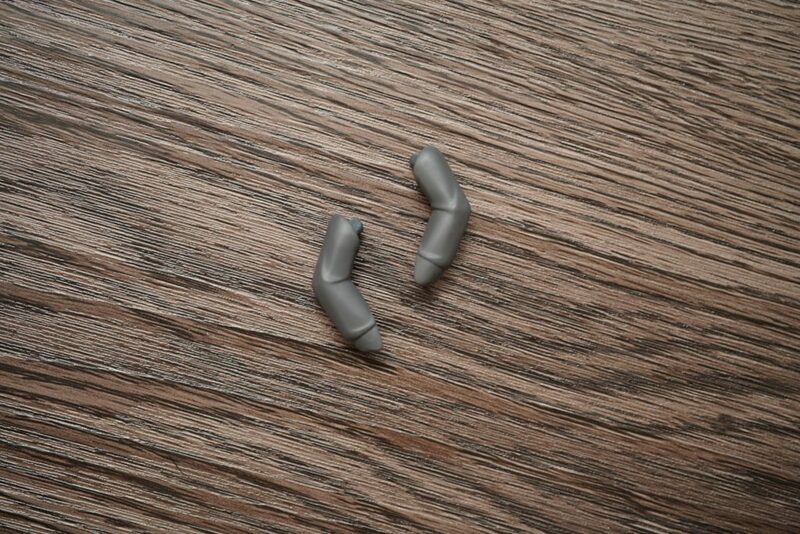 The arms can we interchanged with the extras provided in the set. Given the limitations for articulation, Nendoroid still is a good figures especially if you’re after the “chibi” look for a character. 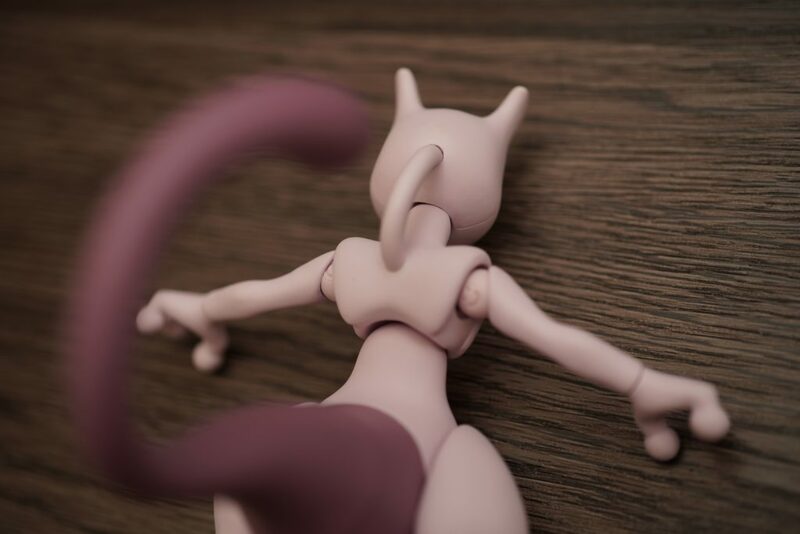 Full figure articulations are mostly found in 1/12 scale figures. 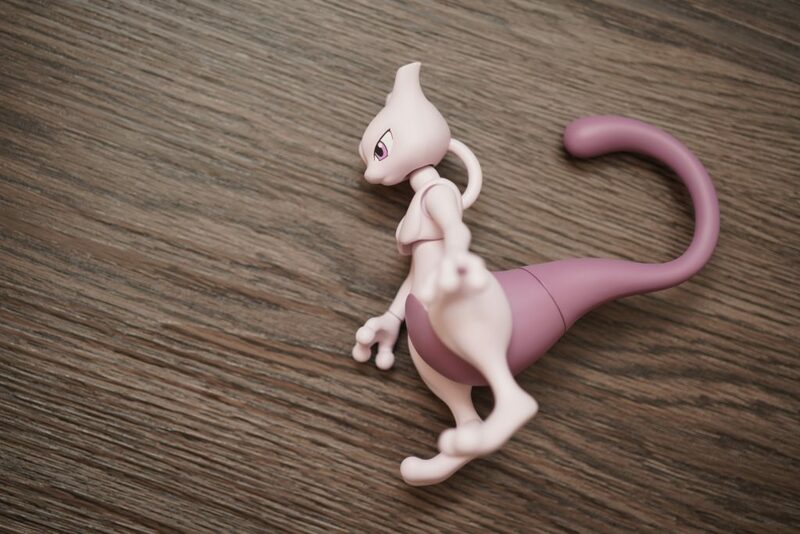 The Mewtwo figure is also articulated, although my main concern is that it’s hard to pose without the figure stand. Its tail is quite heavy for its legs and feet. 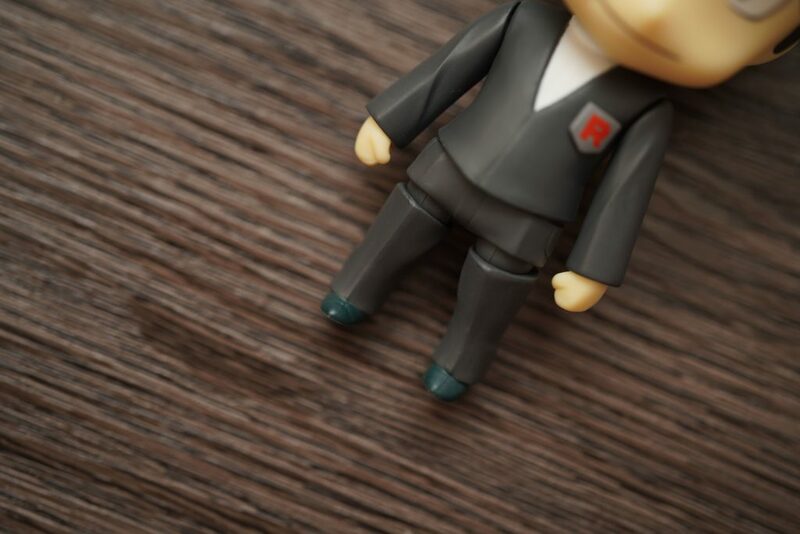 I really admire how The Good Smile Company paint their Nendoroid figures, they are individually hand painted. 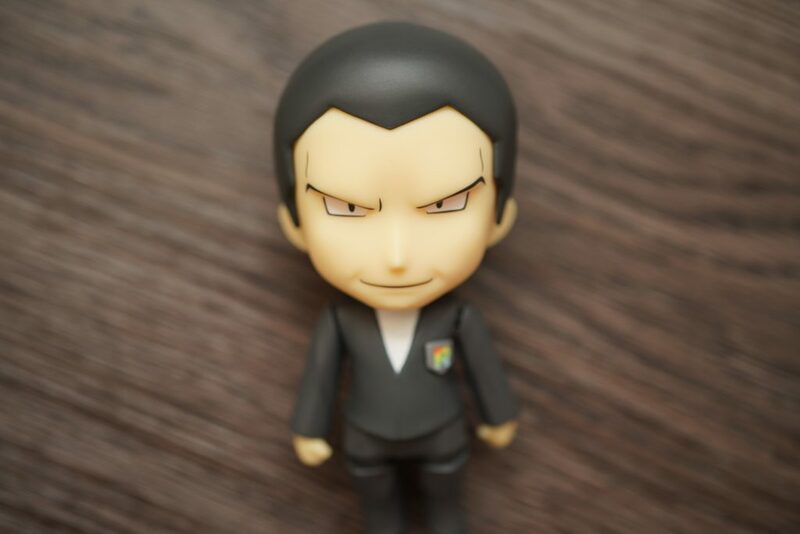 I like how the shadow face Giovanni plate was made, the paint gradation was neatly done. 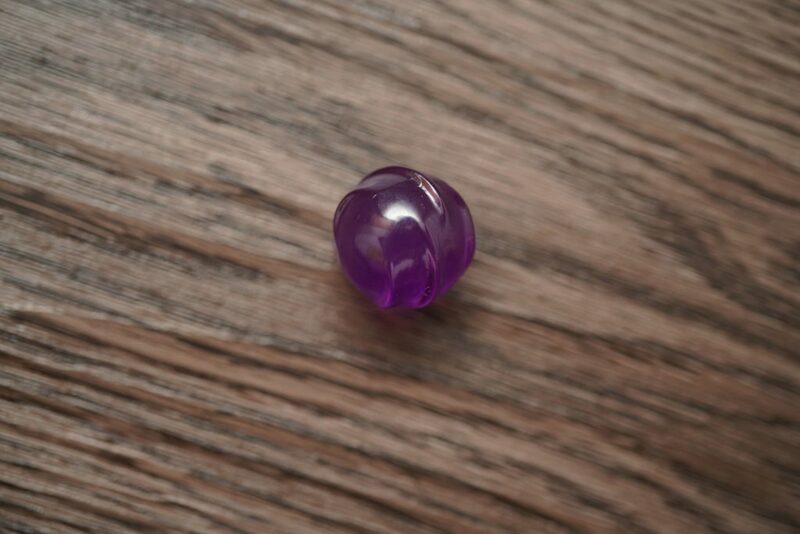 The face plats can be changed by removing part of its hair – you just need to detach if from the head. 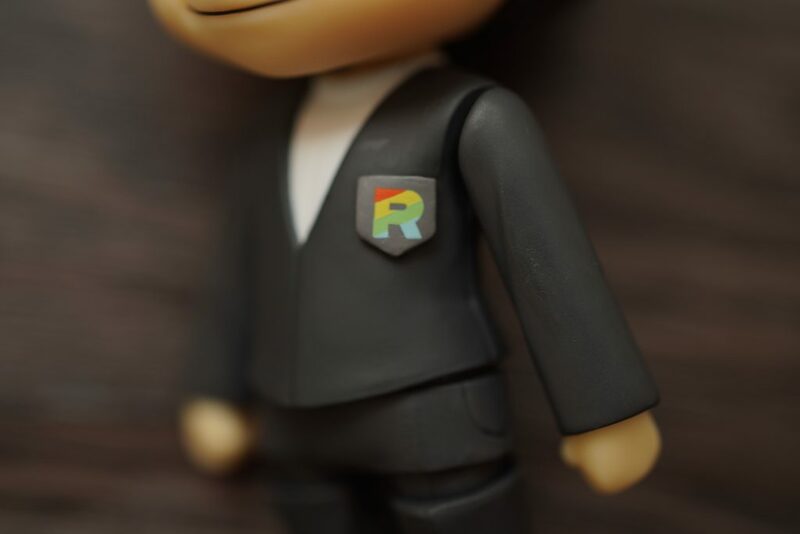 Like what I’ve mentioned, the patch for the Team Rocket insignia can be changed to either the classic or the rainbow logo. 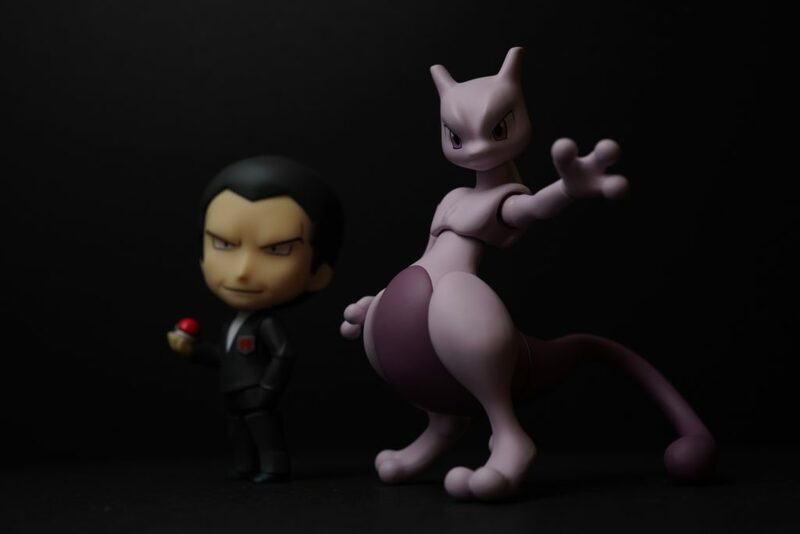 If you’re planning to collect the Nendoroid Pokémon releases, then the GIovanni figure surely is a great addition. 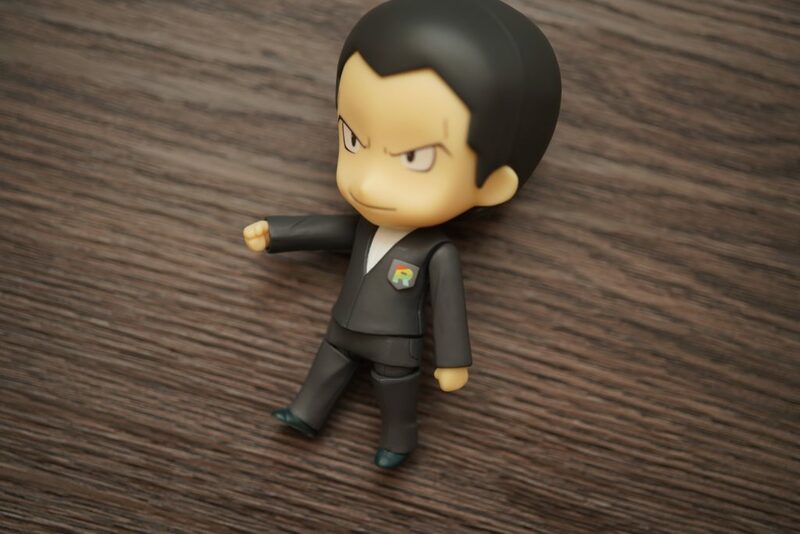 What I really like about the Nendoroid’s scale is that the Moncolle figures from Takara Tomy fits well with it. 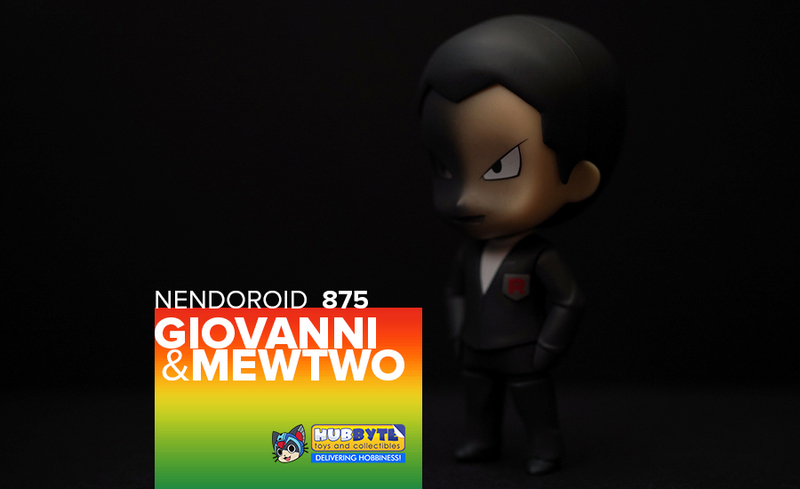 To get your own Giovanni and Mewtwo figure, visit Hubbyte Toy Store and order yours now!